We have chosen a bunch of classy bow ties that in our opinion are some of best choices. 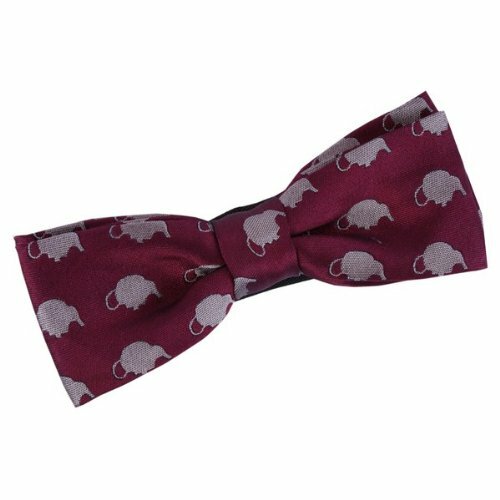 The Rosy-Lea / Maroon Bow Tie by Emma Ashford is a rebellious one. Emma Ashford takes inspiration for her designs from many different British subcultures. This particular one has the humor of British fashion and could be a perfect choice for a work holiday party or similar. This RessoRoth Mens Vintage Velvet Bow Tie has a larger and more relaxed silhouette. This handmade 100% silk gem is for anyone who doesn’t mind looking just a tiny bit cheeky. That being said, it is sometimes worn for very formal events with a tuxedo. How about a handpicked feather bow tie? 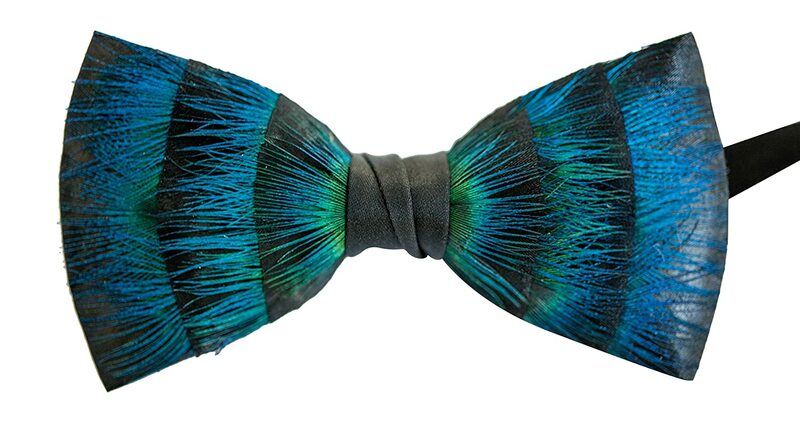 Brackish Feather Bow Tie. Yes, that’s a thing. The subtle hints of blue on a black base look amazing. Perfect choice for any conservative dresser begging for a pop of color in their wardrobe. Comes packaged in closed top wooden storage box wrapped in burlap. Excellent gift choice. This handcrafted bow tie is a fuse of oldschool craftmanship and modern style. 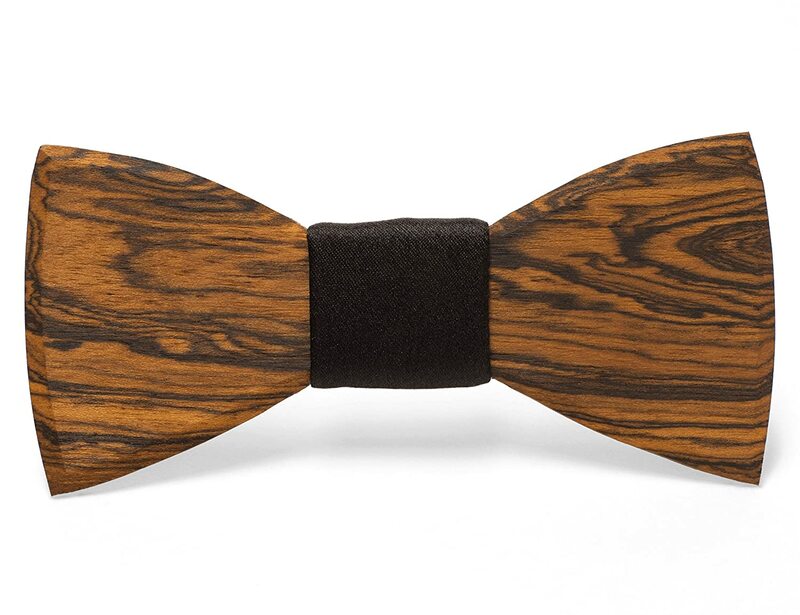 It is made of walnut and is a perfect alternative for the classic bow tie. Made by designers Adam Teague and Tim Paslay, the Floyd Walnut Wood Bow Tie sets itself aside as an innovative and unique alternative to the classic bow tie. 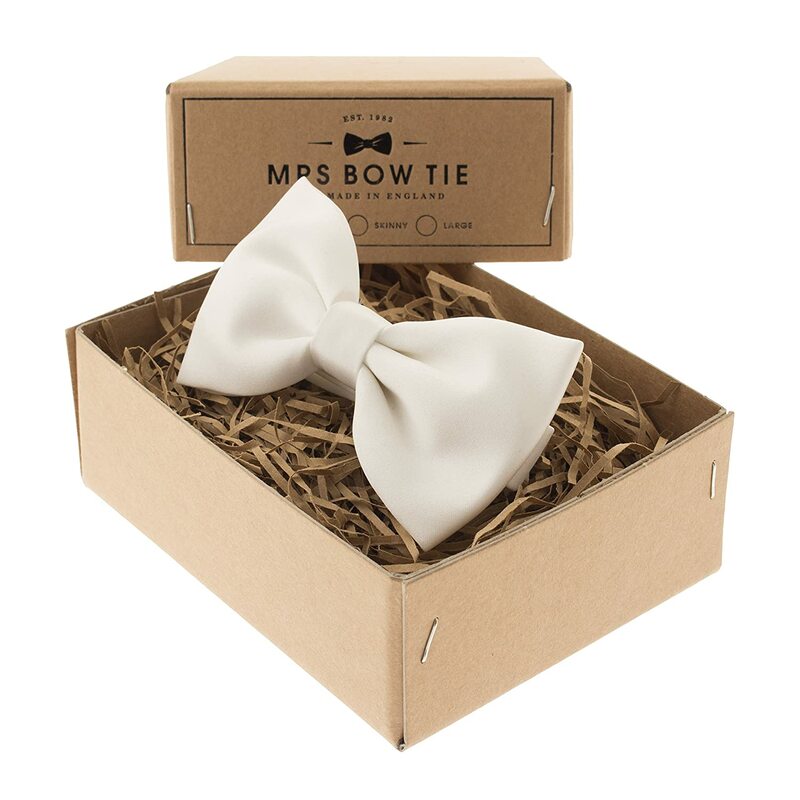 White Duchess Satin Bow Tie is designed and handmade by the Mrs Bow Tie team in their UK studio. They pay extra attention to detail and quality during the manufacturing process. Comes in a 100% recycled ‘Kraft brand’ gift box.